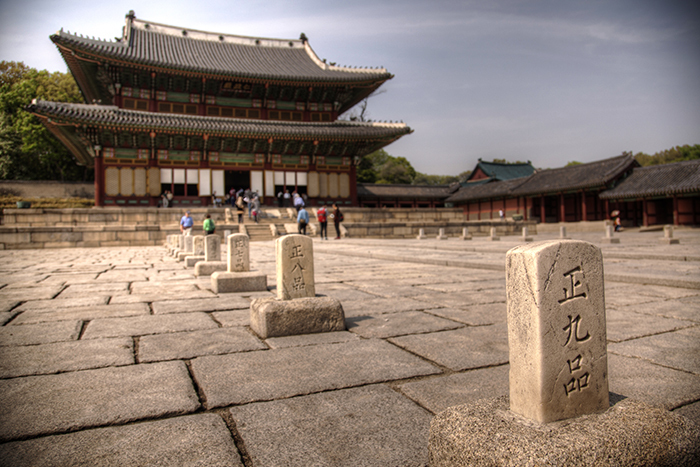 We visited them all, but if you had to pick only one palace in Seoul, it should probably be Changdeokgung. I say this mostly because of the Secret Garden. 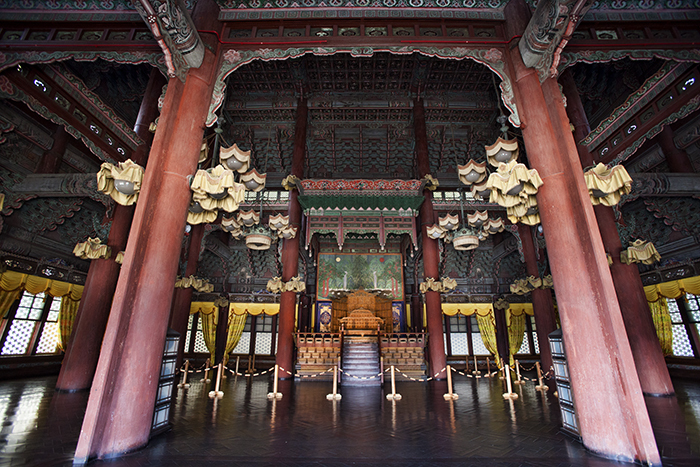 Up front, you can get a taste of the Korean palace architecture. In the back, you can escape from the bustling city and enjoy the secluded surroundings of the Secret Garden. This is probably the only time I was able to get a decent palace interior shot. To me, the Secret Garden tour is the best part of Changdeokgung. It's just so peaceful and beautiful back there. I don't think these photos do it justice. Since this trip is really my first time using the 24-105, I'm discovering things about it that I have to watch for. In particular are these nasty bright spots. I haven't looked into it yet, but my first guess is lens flare due to dirt. I'm such a newbie. But I still love the perspective of this photo, so I had to include it. Seeing this tree makes me think that Seoul must be absolutely beautiful in the fall. Early May probably wasn't the best time to visit, visually speaking. We barely missed the cherry blossoms and it was starting to get a tad warm.